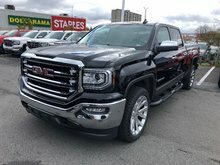 This 2018 Sierra 1500 pickup truck sets a higher standard, with purposeful technology inside and out to help you stay connected and always in control. This summit white pickup has an automatic transmission and is powered by a 4.3L V6 12V GDI OHV Flexible Fuel engine. Equipped with that powerful motor it gets 13.4 L/100 km in the city and 10.0 L/100 km out on the highway according to Transport Canada. Our Sierra 1500's trim level is Base. 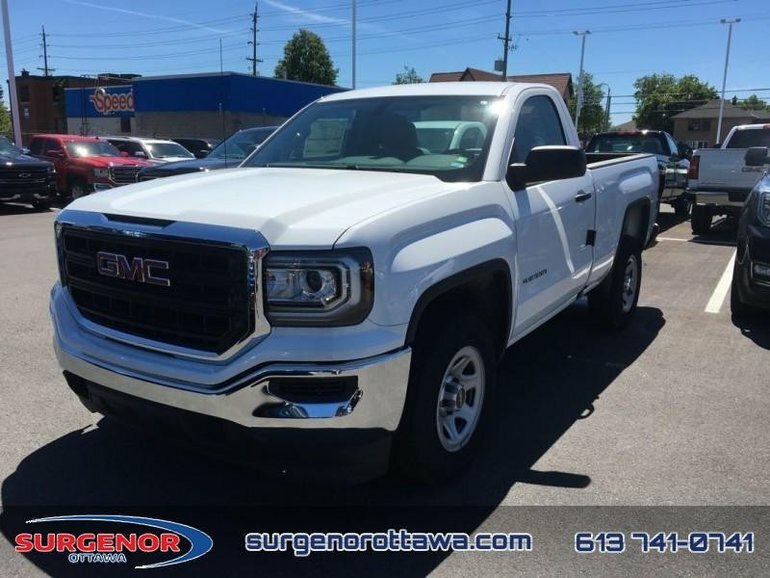 This dependable Sierra comes with many excellent features to help you get the job done right the first time. 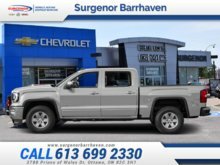 Standard equipment includes power door locks, single zone air conditioning, cruise control, HID projector-beam headlamps with signature LED accents plus a rubberized floor to help keep it easy to clean! This vehicle has been upgraded with the following features: Cruise Control, Air Conditioning, Power Doors. Total rebate of $7600 is reflected in the price. Credit includes $4100 Delivery Allowance and $3500 Non-Stackable Cash Purchase Assist. Credit is available in lieu of subvented financing rates. Incentives expire 2018-10-01. See dealer for details. 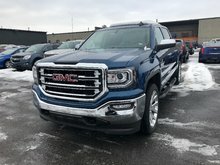 Interested in the 2018 GMC Sierra 1500 Base - Cruise Control - Power Doors ? $70,280 * Plus HST and licensing. Freight & Fees Included. $56,894 * Plus HST and licensing. Freight & Fees Included. $50,570 * Plus HST and licensing. Freight & Fees Included.